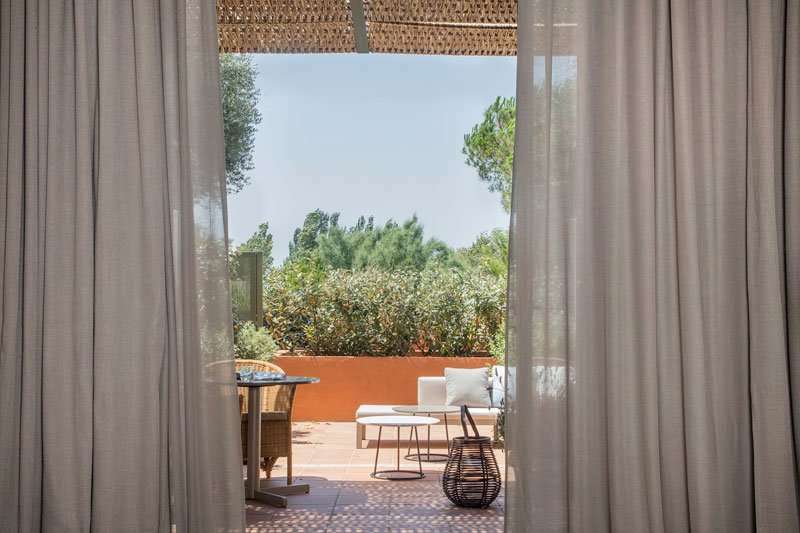 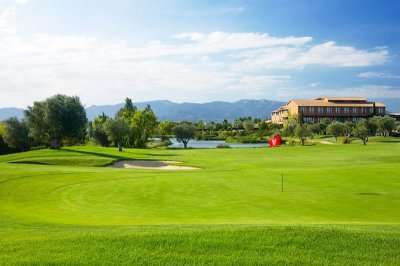 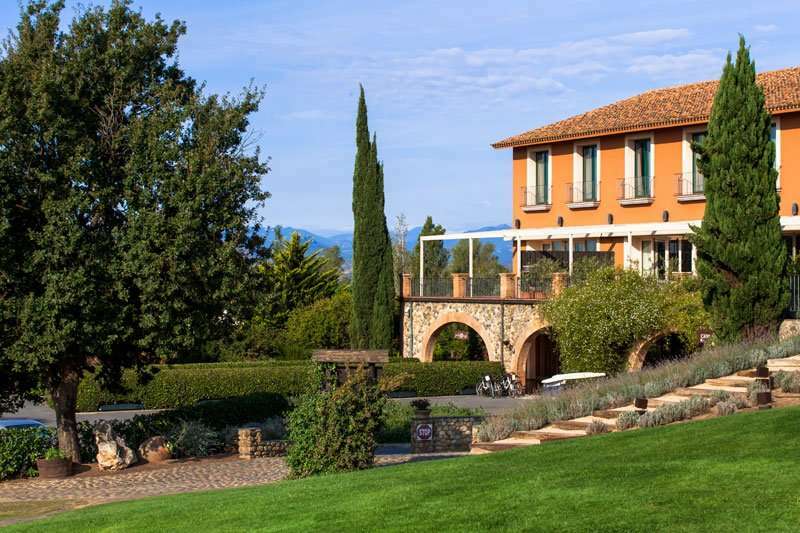 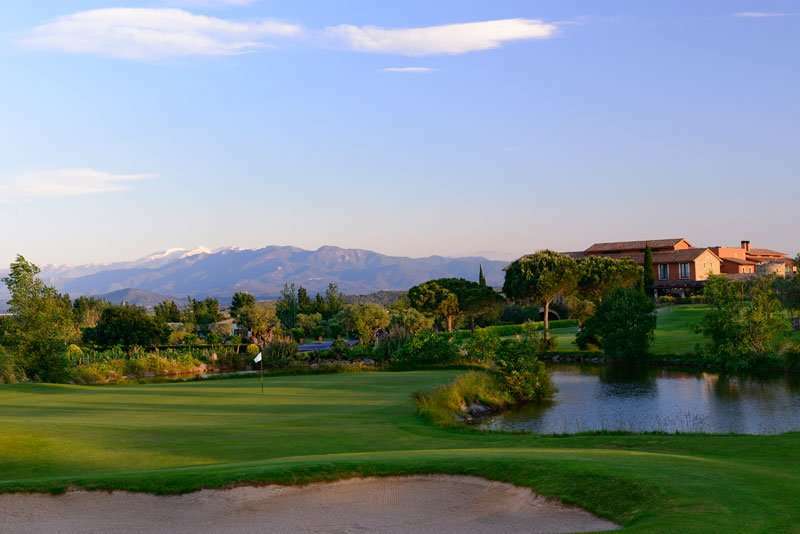 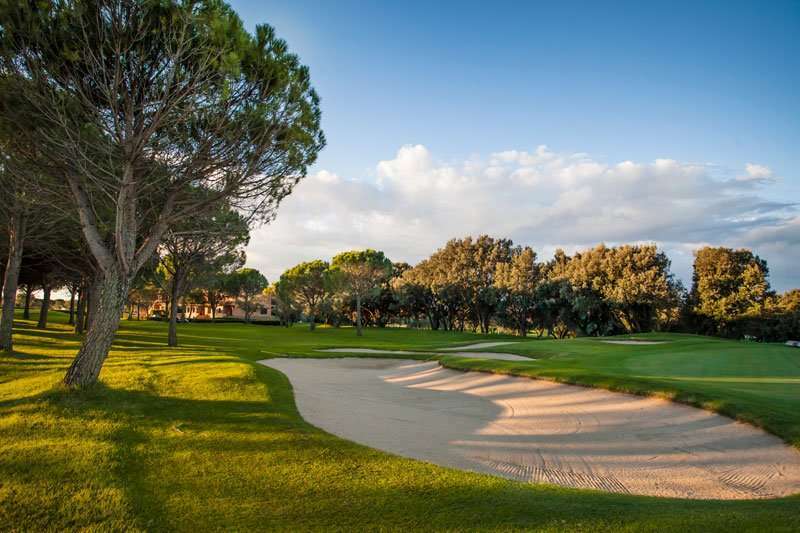 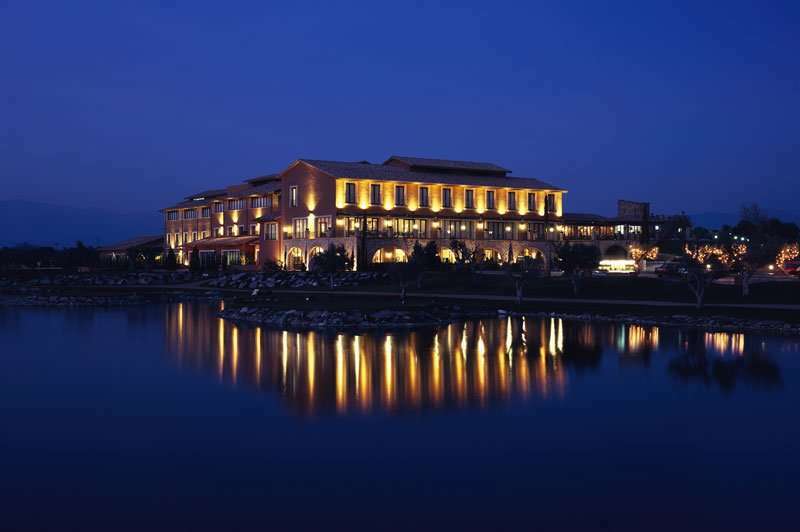 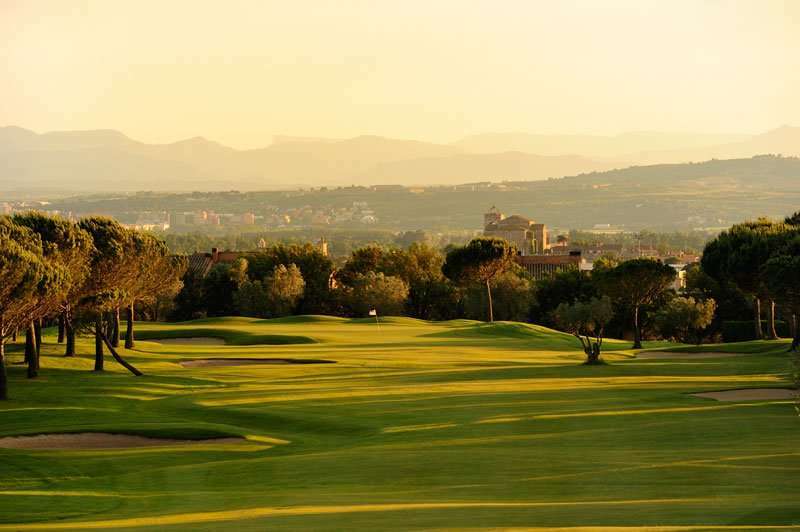 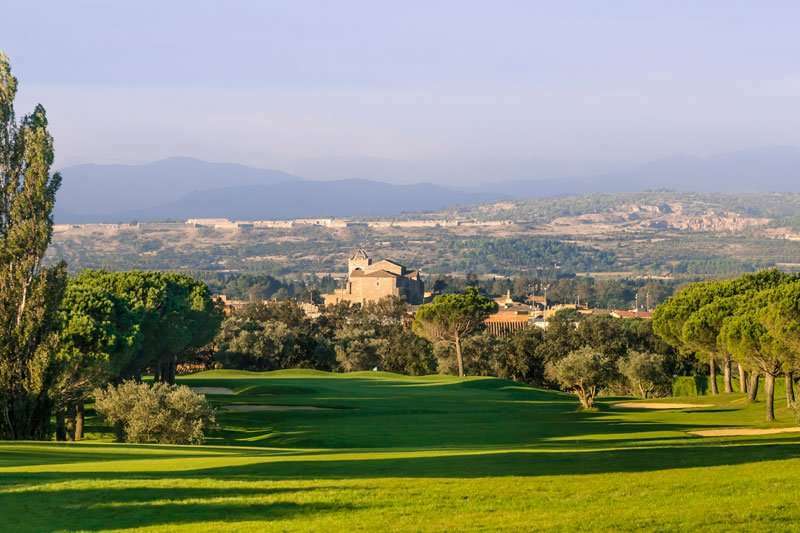 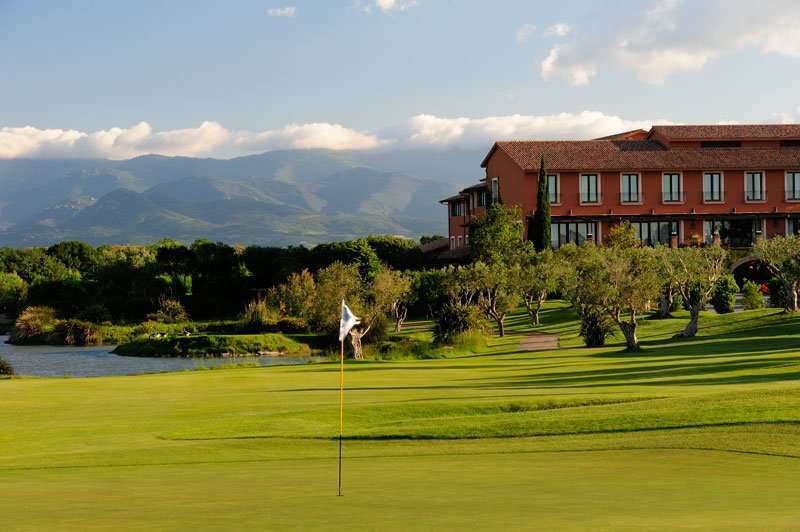 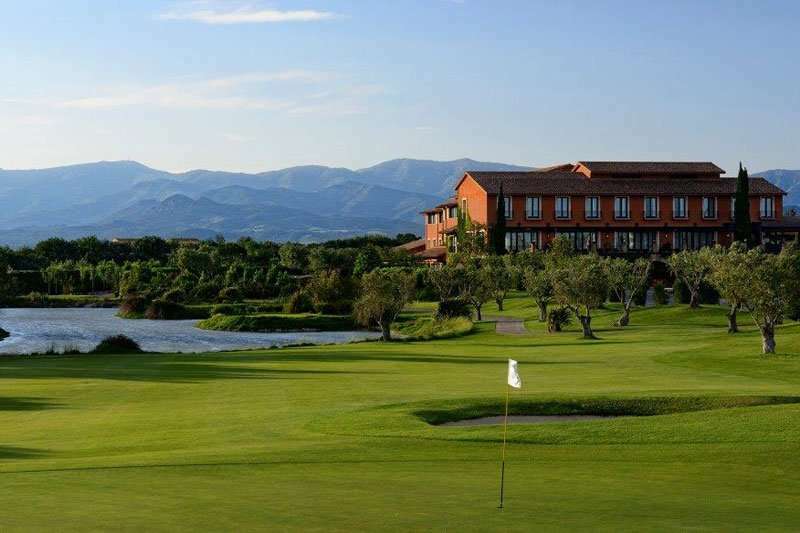 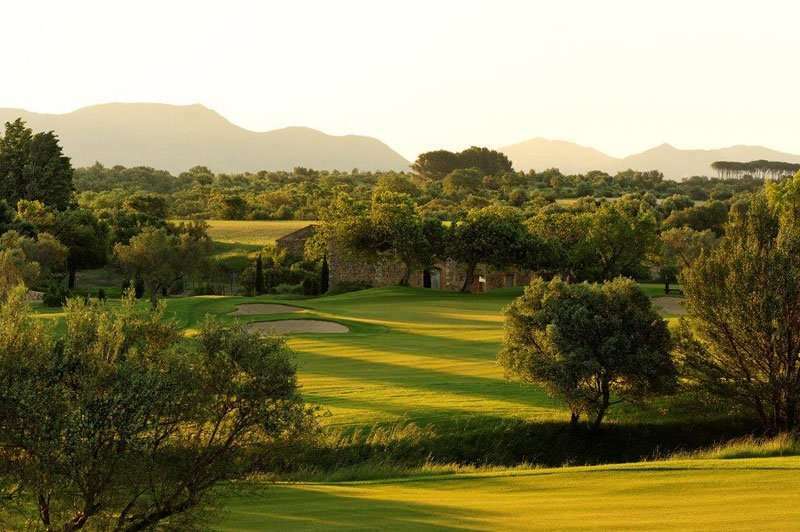 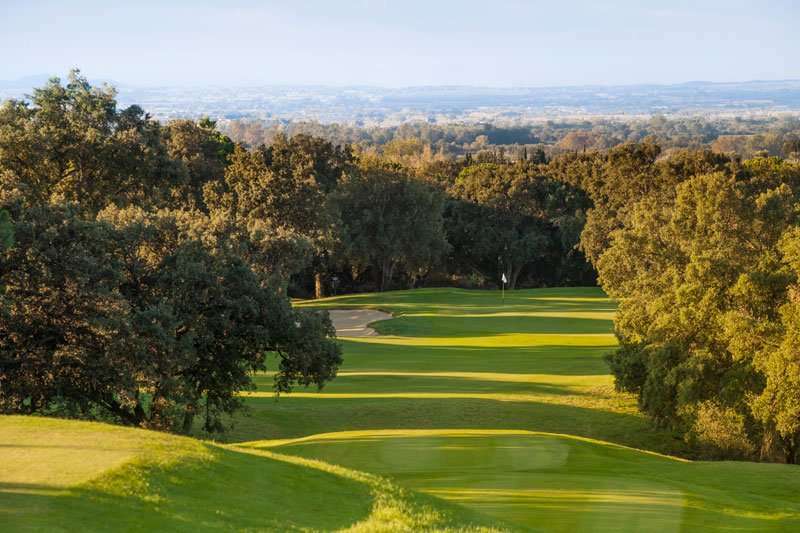 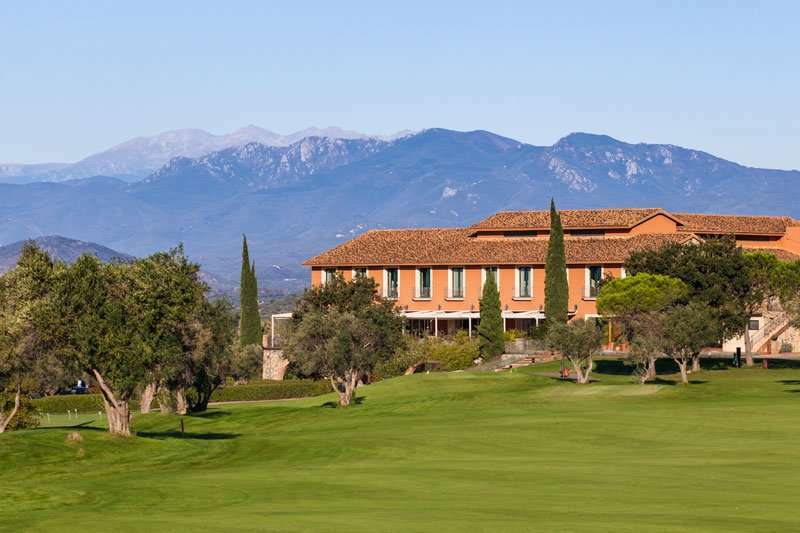 The five-star Hotel Peralada Wine Spa and Golf is located in the heart of the Alt Emporda region, nestled in the midst of one of the Costa Brava’s favourite golf courses, the Golf Club Peralada. 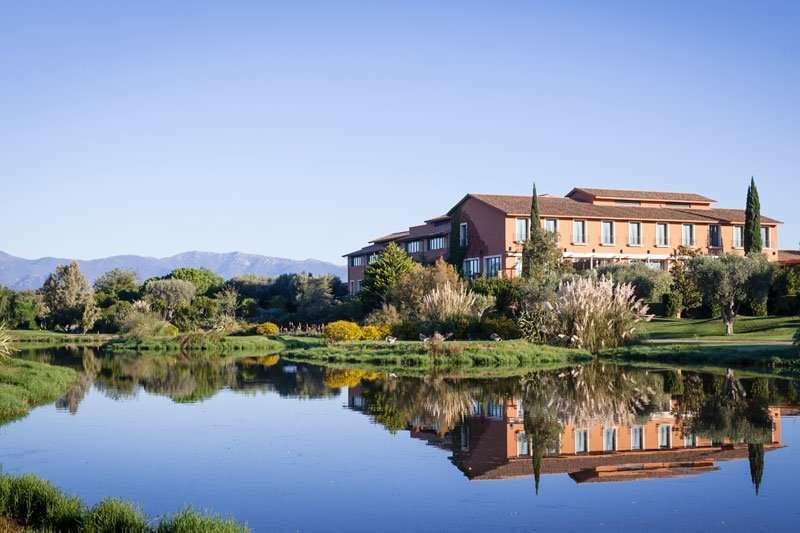 The Hotel Peralada is set in a truly unique location, surrounded by a nature reserve with the Castillo de Peralada castle and some of the best beaches in the Costa Brava just a fifteen-minute drive away. 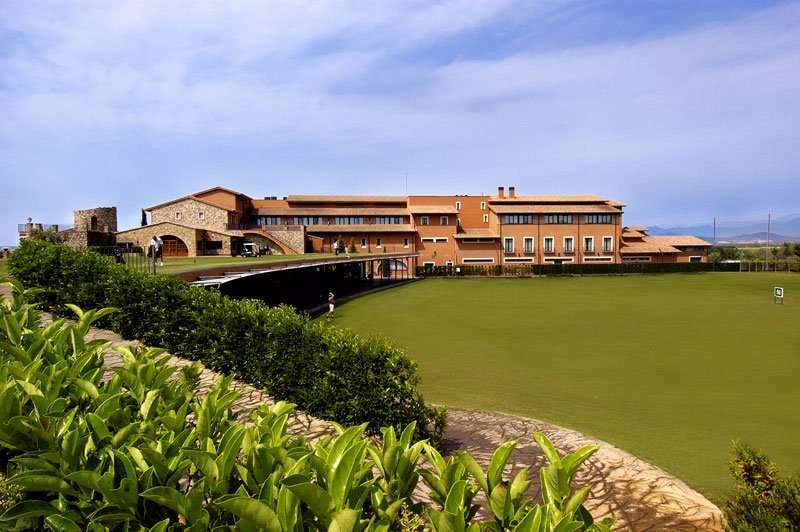 For an unforgettable golf escape in the Costa Brava, the Hotel Peralada is an unbeatable option. 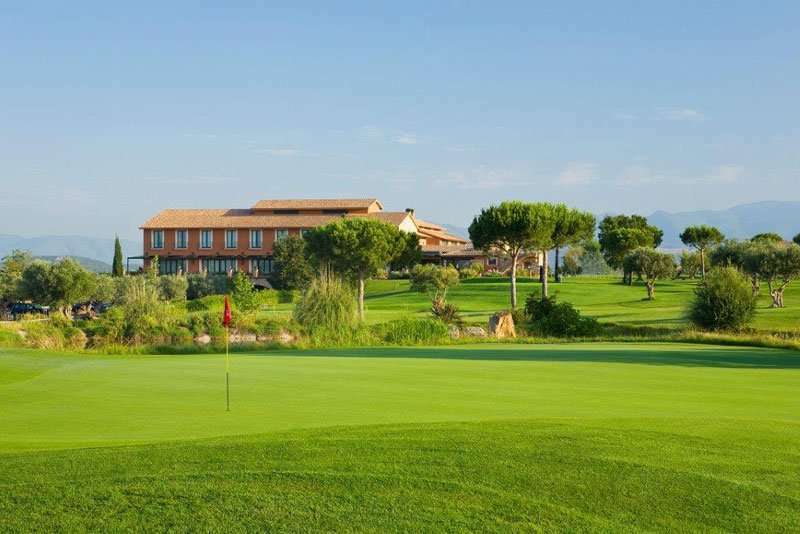 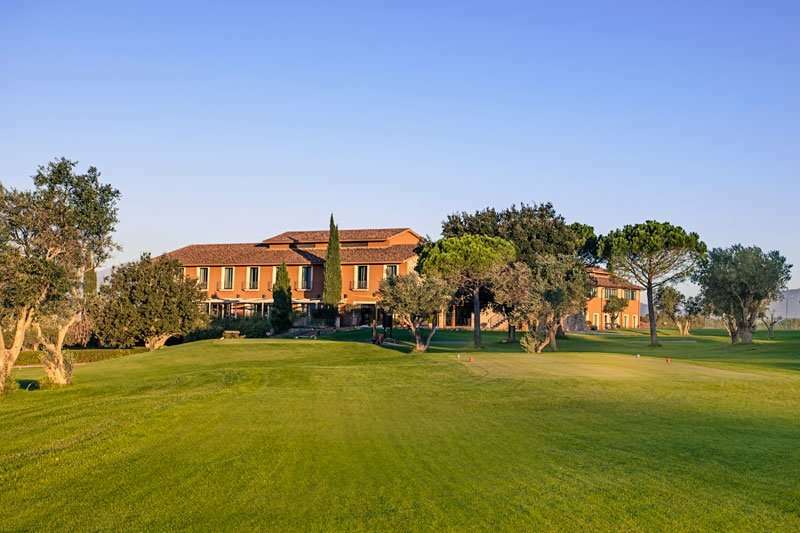 This fantastic hotel is ideal for golfers who are frequently partial to glass of wine due to its ideal location in the heart of the well-known Perelada wine estate in the Alt Emporda. Alt Emporda is one of Catalonia’s main wine region, therefore guests are in the perfect spot to enjoy some authentic Spanish wine. 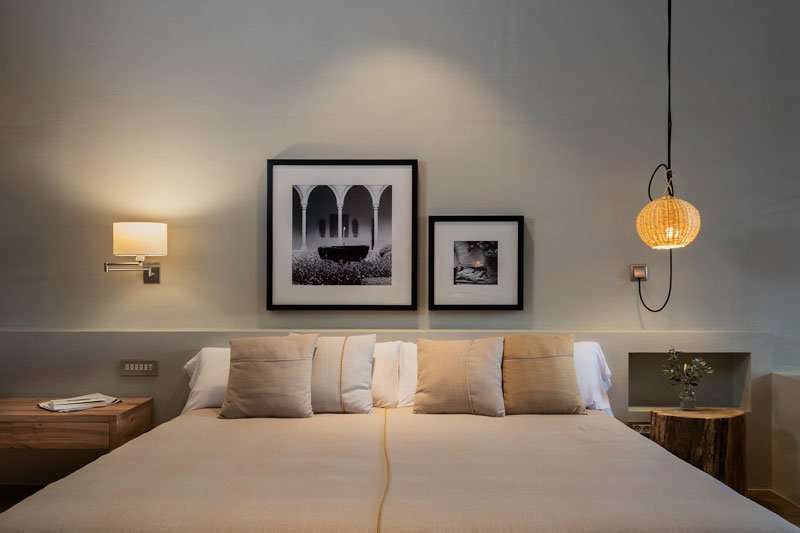 The Hotel Peralada is located on the edge of the Peralada village, a quaint village in the heart of Catalonia. Here guests can have a real taste of classic Spanish life and visit some key sites including the Peralada Castle or pop into the casino. 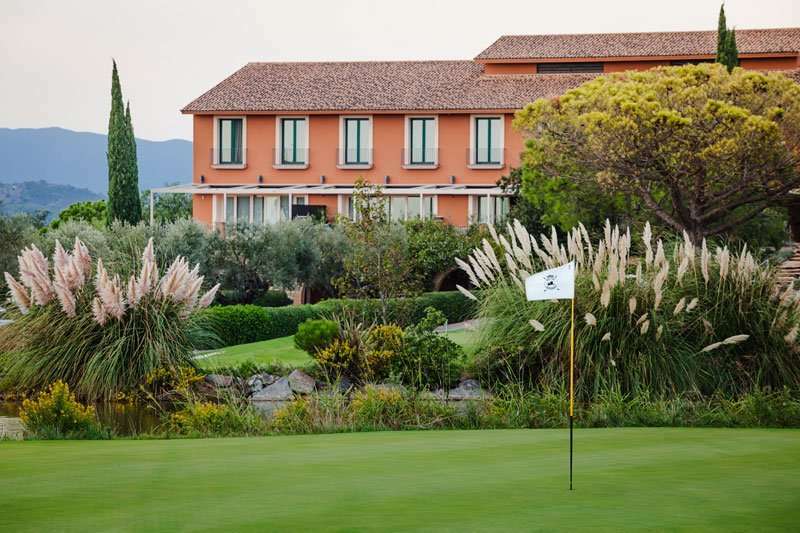 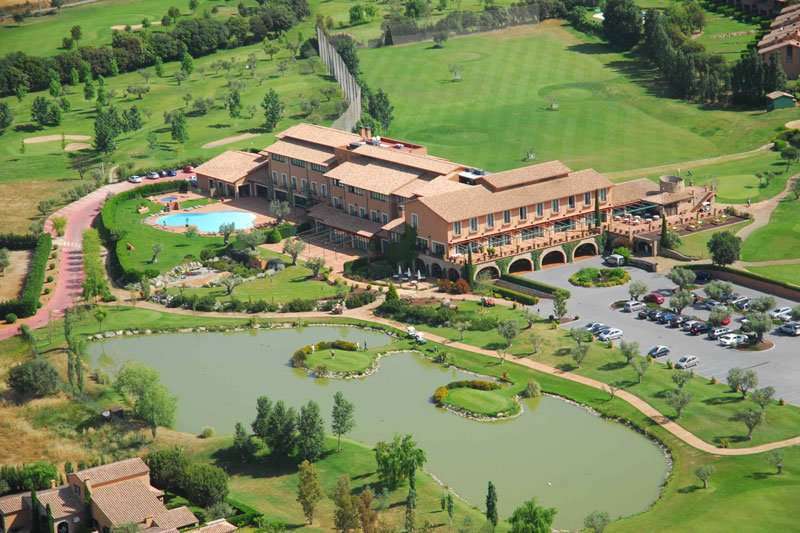 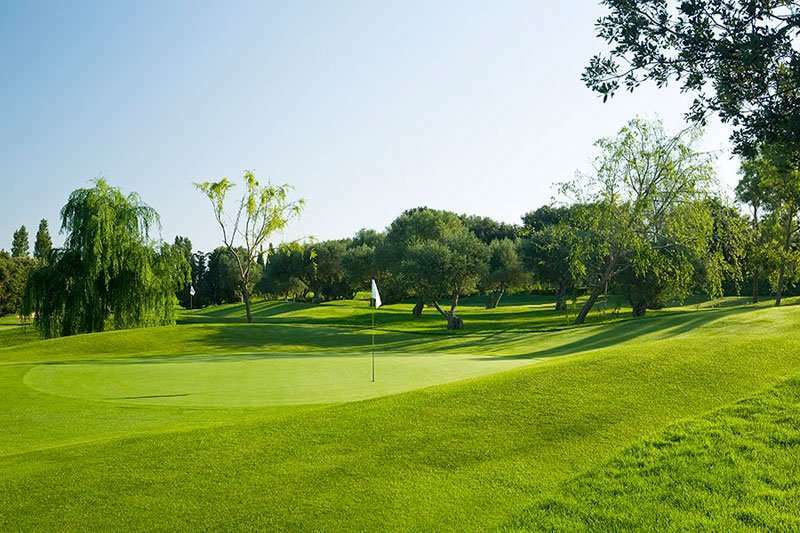 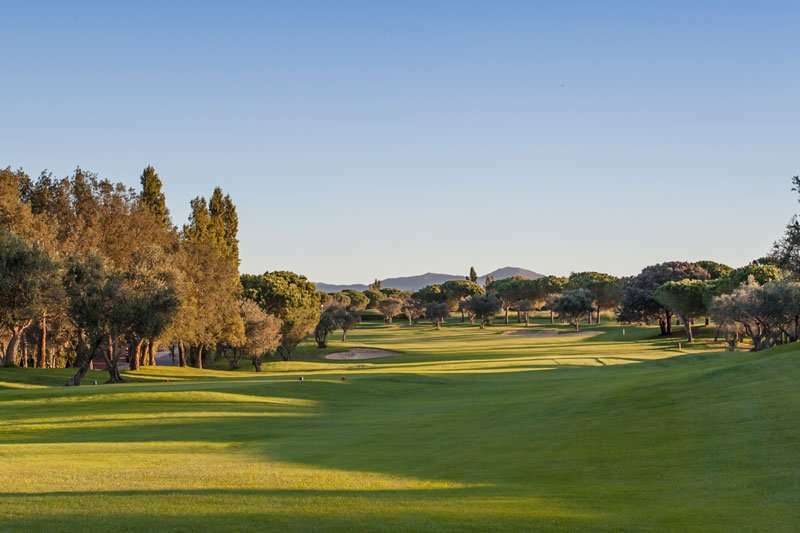 Perfect for golfers, the Hotel Peralada is located on site to the fantastic Peralada Golf Club. 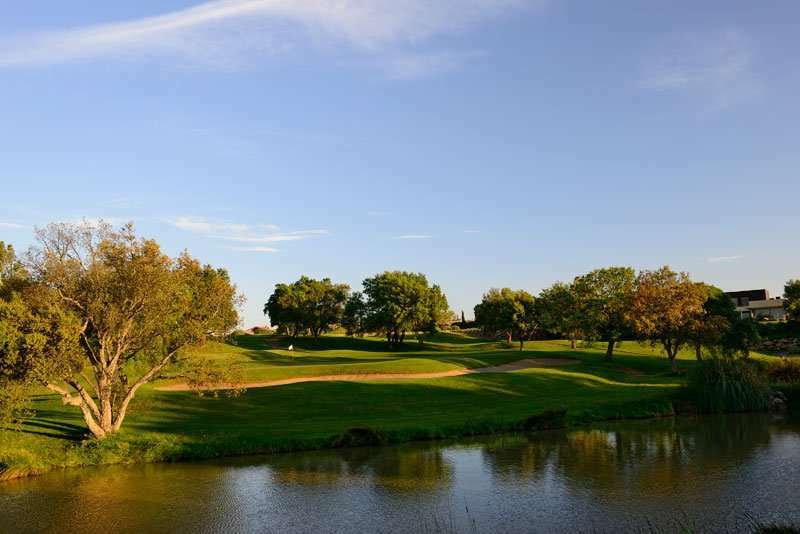 This golf course is among some of the most picturesque in the region with a stunning scenery and a few tricky holes. 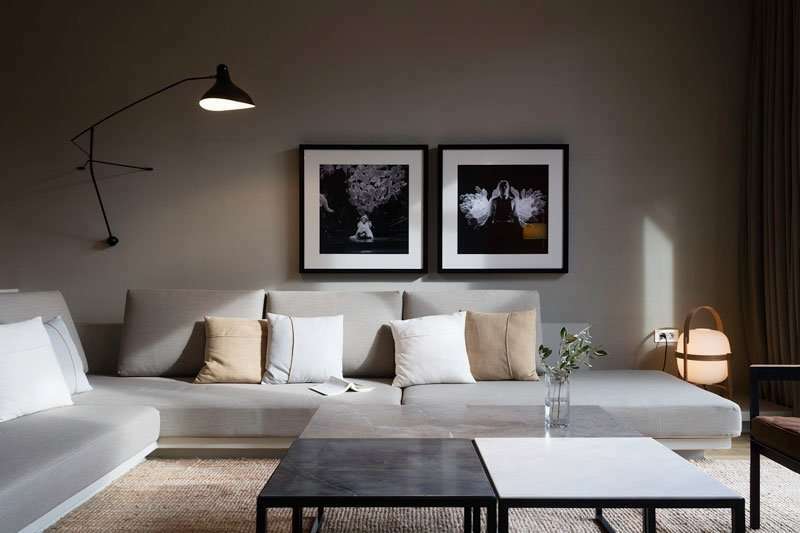 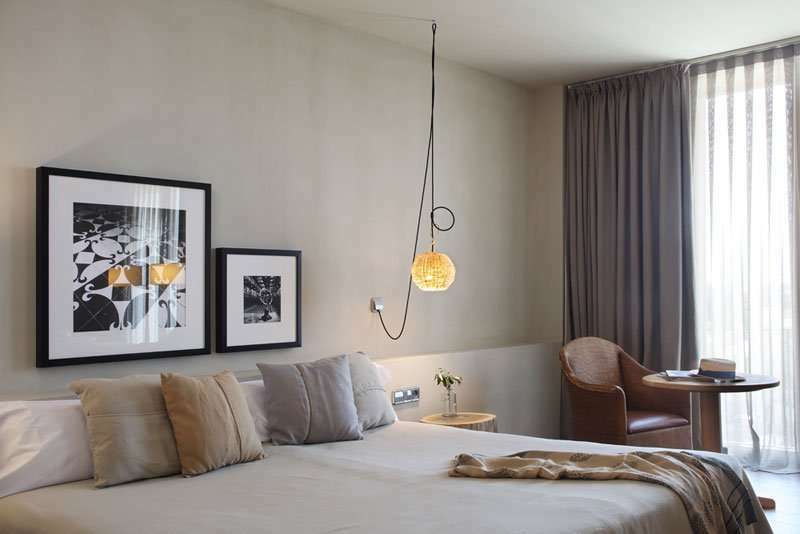 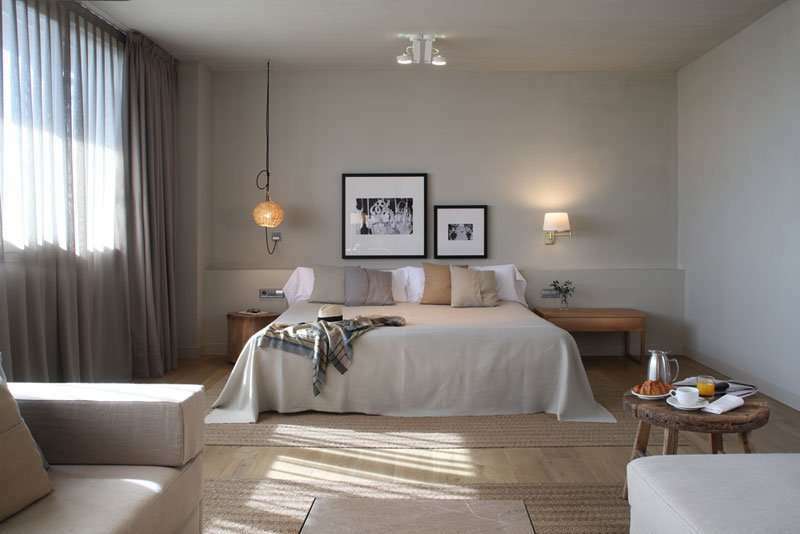 The Hotel Peralada is a small boutique hotel with just sixty-four guest rooms, however all of them are lavishly furnished with all of the modern essentials to ensure that all guests have a wonderfully relaxing stay. 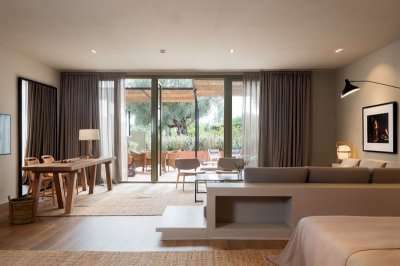 All of the rooms are air conditioned and include a plasma screen television, a minibar, safe, and complimentary Wi-Fi access. 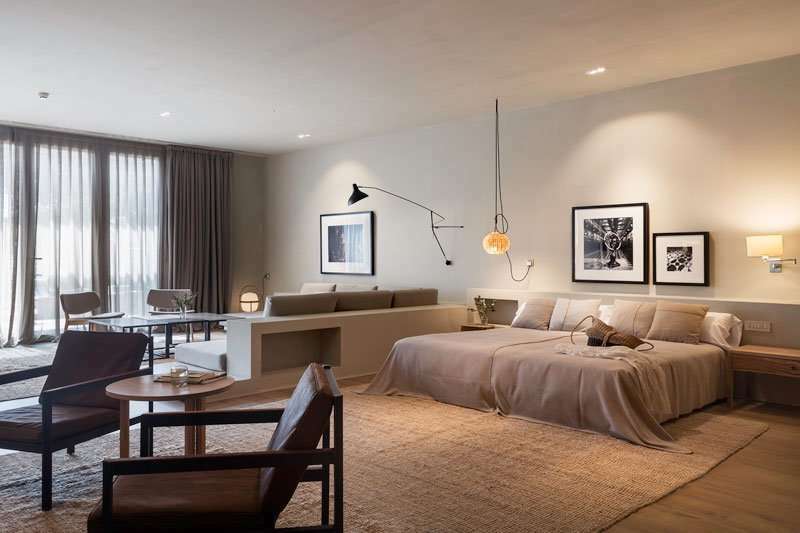 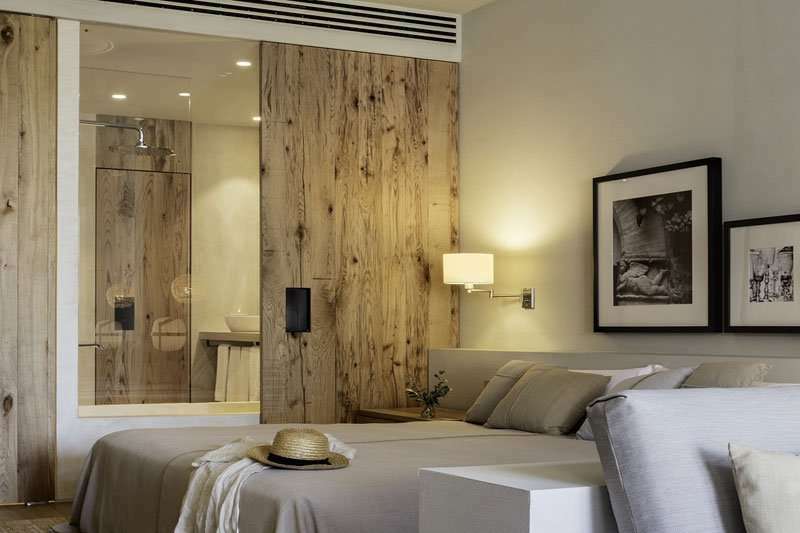 Of these sixty-four guest rooms, sixteen of them are ‘superior’ with their own balconies, and there are also two suites with whirlpool bathtubs in the en suite bathroom and a living area. 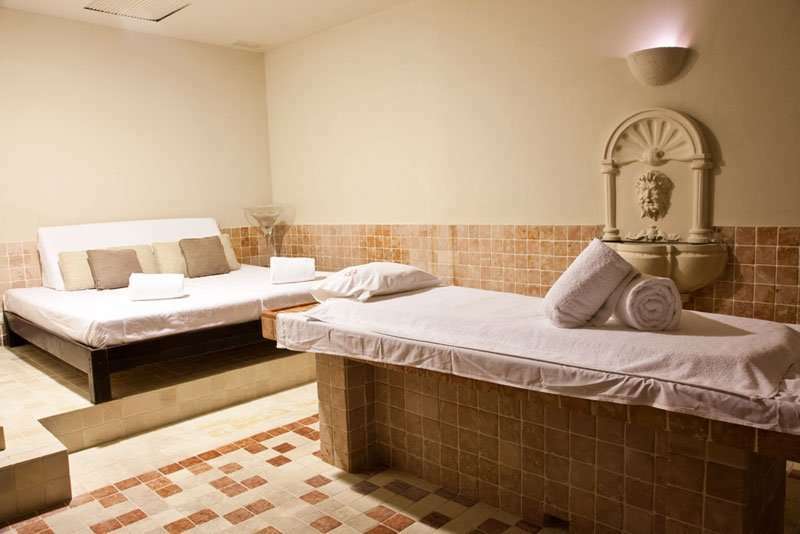 Guests will never find themselves short of things to do at the Hotel Peralada with its wide range of leisure facilities. 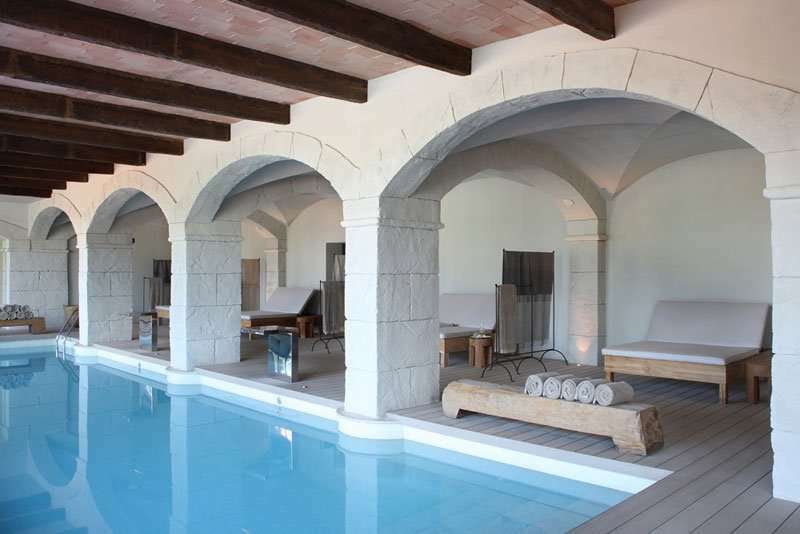 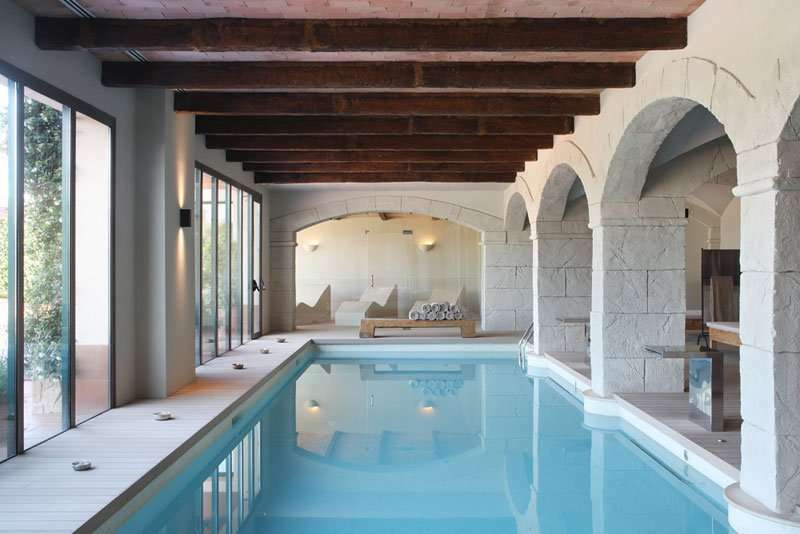 Guests can soak up the sun around the outdoor swimming pool or they can head to the hotel’s wine spa for a selection of unique treatments with products sourced from its own wine vineyard. 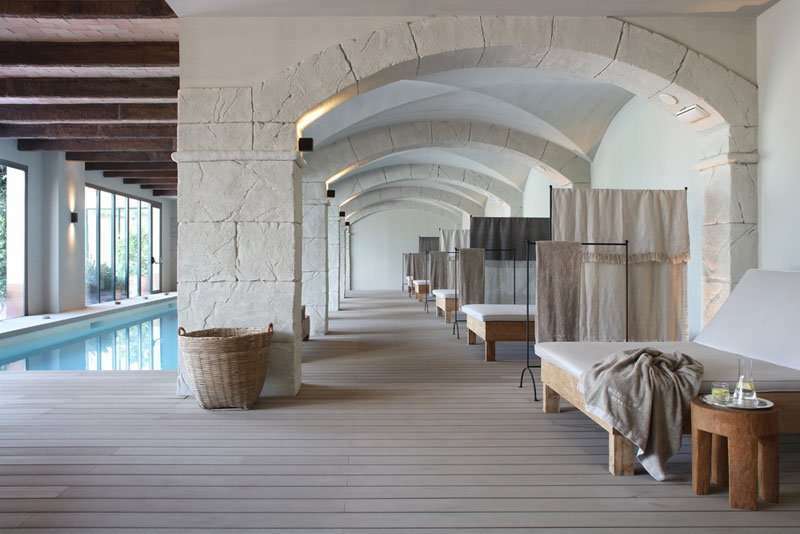 In the spa, there is a jacuzzi and a sauna as well as an indoor swimming pool. 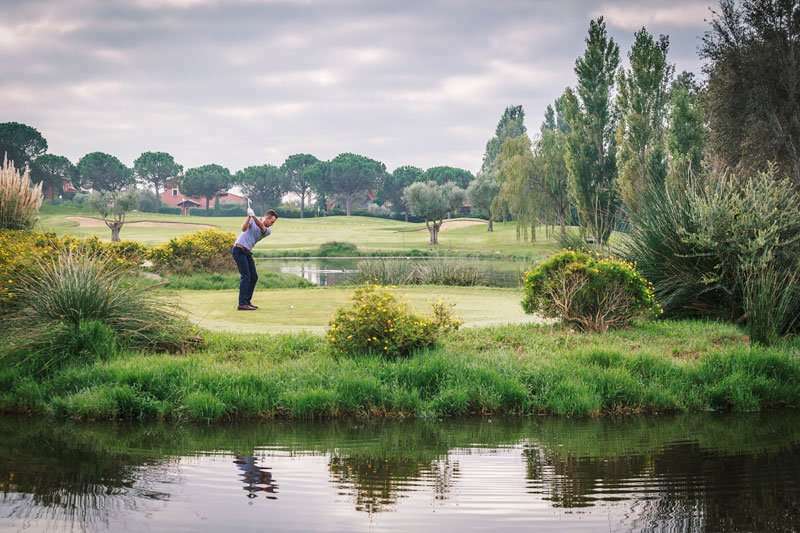 The more active guests can make full use of the hotel’s fully-equipped gym, or they can enjoy a game of paddle tennis or football. 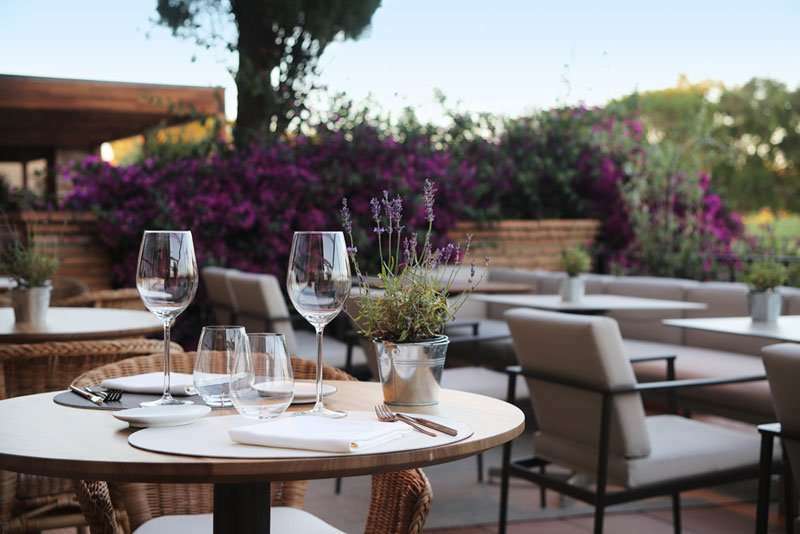 The Restaurant l’Olivera is the perfect setting for a fantastic evening meal accompanied by magnificent views over the golf course. 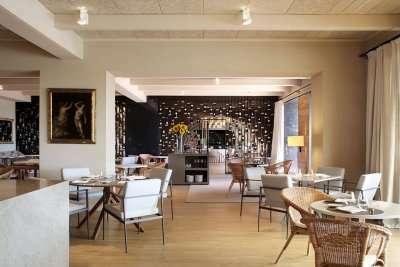 Here, guests can enjoy an exclusive menu of traditional Mediterranean cuisine with avant-garde, surprising touches.